Star Beach. 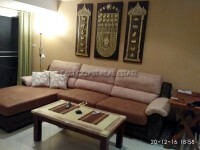 Located in the very convenient area of Soi 4 on Pratumnak Hill is the FANTASTIC Star Beach Condo!! 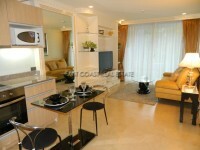 Originally a 2 studio units, it has been converted to this 1 bedroom layout, so now enjoys a large living space with European kitchen, a good sized bedroom with en-suite bathroom, and 2 ocean view balconies. The building is located on the top of the 'ever popular' Pratumnak Hill, positioned between both Jomtien beach, and Pattaya City. One of the beast beaches in the area is just a short 800m walk away.